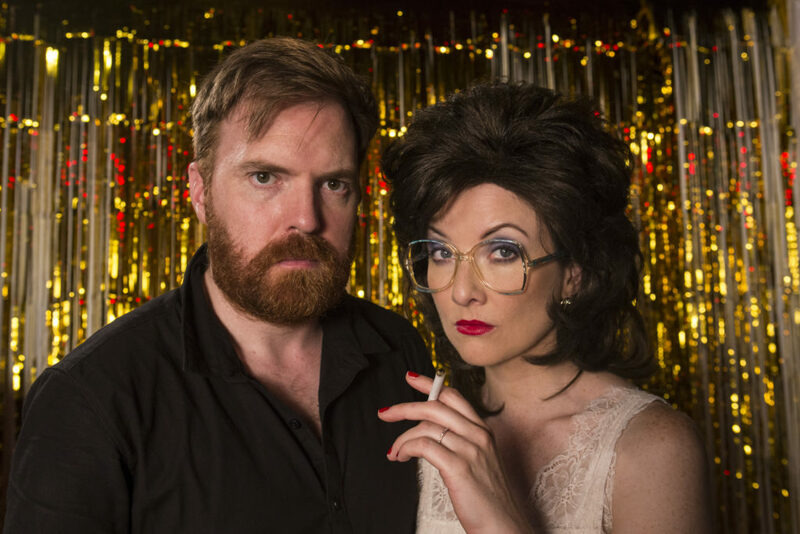 Bridget & Eamon return with a new series that’s bigger, sexier and hairier than ever! In Season 4, Bridget and Eamon brew their own poitín with disastrous consequences, fight over a possibly priceless vase, and stop at nothing to break up a happy bride and groom. Bridget gets replaced by an imposter, Eamon gets his 70s band back together for a huge gig and they both become convinced that their new mysterious lodger is an alien. We flashback to the night Eamon proposed to Bridget and Foster & Allen play in the front room. The series regulars all return – Edwin Sammon as Fr Gabriel and Colum McDonnell as Fierce Handy Frank, and Bridget’s “friends” and neighbours – Norma Sheahan as Noreen, Sharon Mannion as Concepta, Eleanor Tiernan as Dolores and Laura O’Mahony as Grainne. Guest stars include Jason Byrne, Mary Murray and Dermot Whelan. Deirdre O’Kane returns as Bridget’s Mother. John Colleary and Pat McDonnell reprise their roles as fan favourite characters probable paramilitaries Jimmy and Martin. Written by Jason Butler, Bernard O’Shea and Jennifer Zamparelli. Produced and Directed by Jason Butler. A Pure Class Production for RTE. Season 4 starts on RTÉ 2 on Thursday 10th January 2019 at 10:30pm!